I had a decent run in 2013, if not amazing. I managed 26 books and completed my modest target of 25 book a year. I also managed to complete my target of reading atleast 10 books originated from India (I read 12). I think in the busy lives we have, if we can manage 25 quality books a year, then we are doing well with your reading. For 2014, I maintained my target of 25 books, which looks small when compared to 50, 70 or even 100 books targets that I have seen people pledging. To be honest, I have not seen anyone going below the target that I have set. 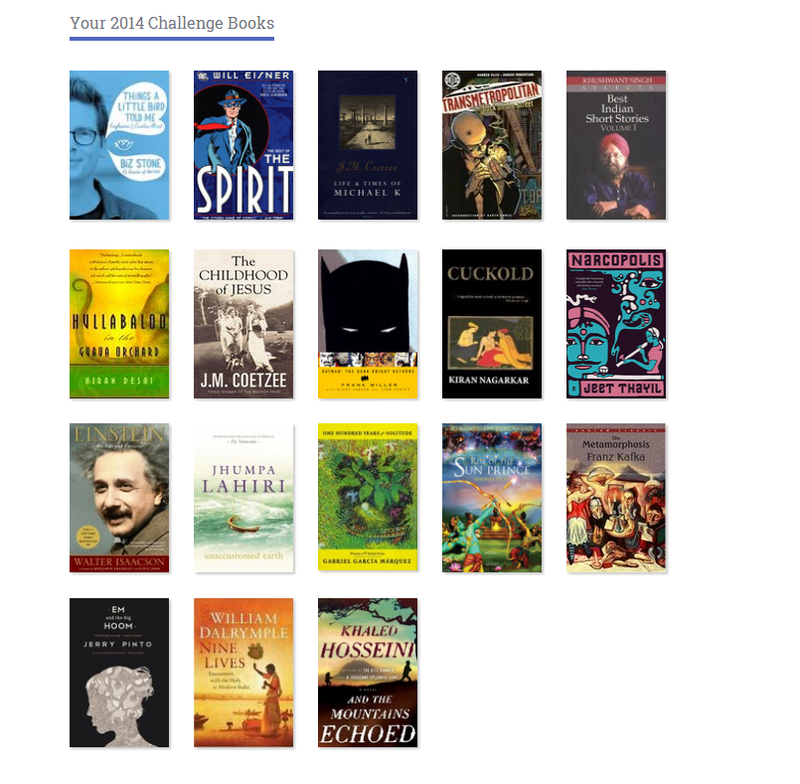 So far, I have done better than my expectation and notched 18 books in first 6 months. I tried to maintain the diversity by picking from Graphic novels, fiction, classics (Actually I am reading Anna Karenina right now, if you don’t find any classics below), mythology and Biographies. You can check the complete list below. I think, its time to revise this year’s target now. How is your reading going on, friends ? Do share. Congrats indeed ! 🙂 I have also set the modest target of 25 and I have finished 11 so far- have to buck up now I guess ! 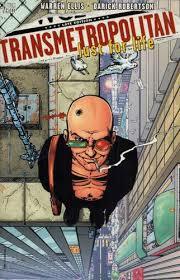 While I set no targets I do read a few pages every day. Currently it has been a lot of PG Wodehouse 😀 Your’s in an impressive list. 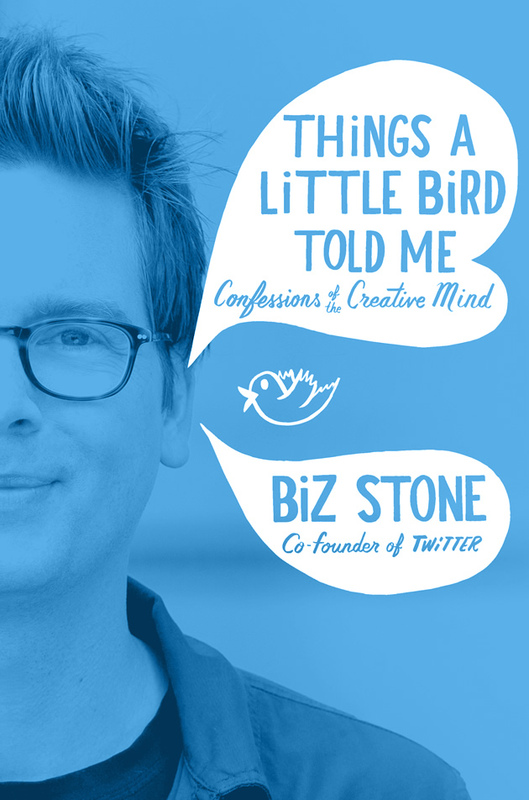 I might read “The things a little bird told Me, by Biz Stone “. Sounds like an interesting book. Inspiring! I seriously feel I should also start reading regularly now. Cool! Nice post and a cool idea ! Is it okay if I steal this idea of yours and post about my Goodreads Reading challenge on my blog? Reply soon or consider it done 🙂 And yup, 18 out of 25 is good 🙂 All the best.Reach the goal and most importantly Enjoy the journey. Yeaah yaaa, go ahead, do that. And send me your goodreads link so that I can connect with you there.